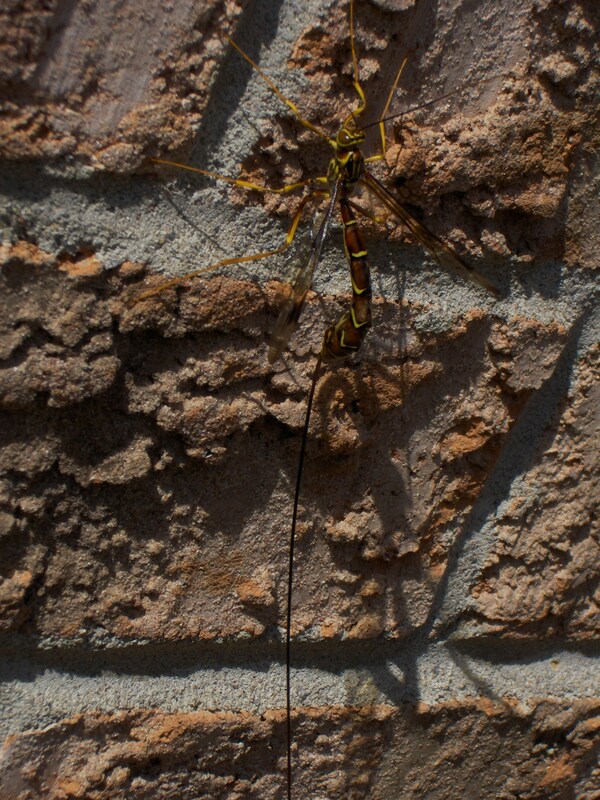 This Wasp decided to take a rest on our house wall this summer. What a site that was, no idea what this insect was. Will it sting us with his big long tail? Get the camera quickly…..take a picture and lets find out what it is?! 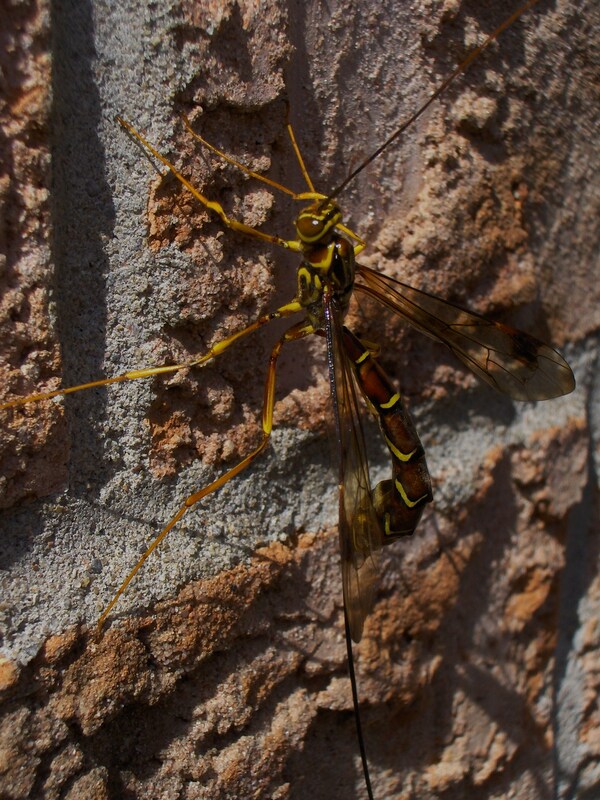 From what we read this Wasp is one of the most beneficial species that inhabit our gardens. The females walk along tree trunks until they sense a vibration of a boring beetle within. Then, with extreme precision, the females acrobatically curl their abdomen, coil their long ovipositor and drive it through the bark and the inner wood, directly into the unsuspecting larva. After laying an egg, the females pull out their ovipositor and continue hunting. The weakened caterpillars become a buffet for the hunting wasp larva, which grows and feeds on the non-vital tissues first, saving the organs far last.